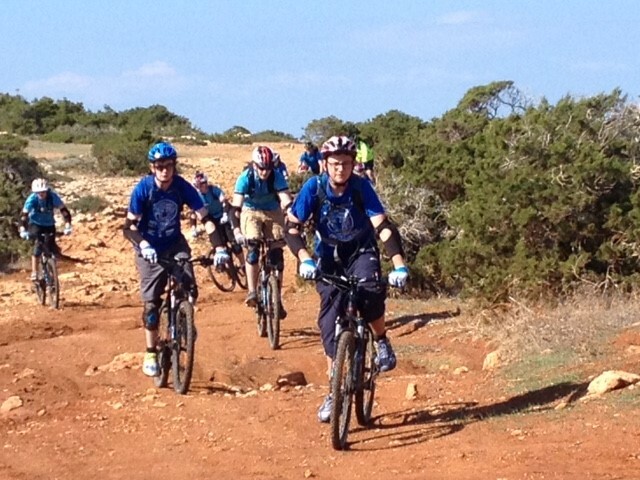 Bristol ACF conducted Exercise Bristolian Zeus during the back end of October 2015, with the main aim of cycling some of the varied technical and challenging off road routes of Cyprus. From the stunning views along the Cyprus coastlines showing off the deep blue and emerald sea of the Mediterranean, to the craggy and muddy trails of the Troodos Mountains, Bristol ACF were primed and ready to embark on an experience that will remain in the memories of all of those that took part. This event was to be the first time that Bristol ACF had mounted an overseas adventurous training exercise, so the trails and tracks of the West Country very quickly became our training grounds to help us prepare for what was ahead. 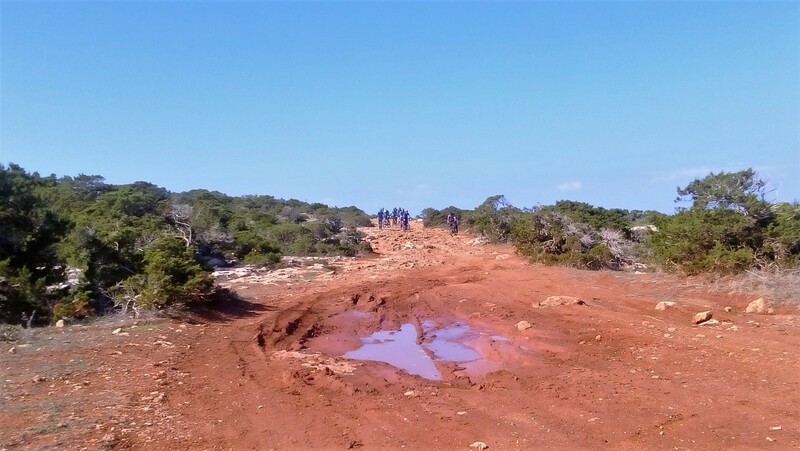 After a selection process and many hours of training, the team to go to Cyprus consisted of eight Cadets, three Trail cycle Leaders and a dedicated support team of two experienced driver/medics. At this point I would like to note that no Adult Volunteers had any arms twisted, were tricked or offered bribes during the making of this exercise! On Oct 21st the advance party flew off to Cyprus to sort out general admin details, whilst the remaining eleven members after a very early start to the day, flew from Birmingham, and finally arrived at Pafos Airport on Oct 24th in what can only be described as a monumental thunderstorm. With the team now complete we headed off to our accommodation in Troodos Station which was to be our home for the days ahead, arriving in the Troodos Mountains at around midnight, the team was greeted with a misty and cold chilly wind. Welcome to sunny Cyprus. The following day was dedicated to bike safety checks and tweaking the bikes to fit the rider, and the first day of riding was also included. This involved a moderate ride in the Troodos Mountains designed to gently persuade the legs to get going again, and start thinking about putting all those hours spent in training into practice. This in fact was achieved, however, the thunder storm from the night before decided to visit the mountains and open the heavens up with rain, the biggest hail stones ever produced, and of course thunder and lightning. We needed to get out of this weather pronto, the team then attempted to break the land speed record to the nearest shelter. After the storm passed the ride continued successfully and comments of “ I thought Cyprus was supposed to be sunny” could be heard at almost every twist and turn of the rugged mountain trails. The next day saw a cultural visit to the Archaeological sight of Kourion, situated along the Akrotiri Peninsula, where, upon arrival, the cadets conducted their own guided tour of the site by each cadet delivering a 3 minute talk on individual aspects of the area, the cadets researched the information prior to the exercise and included areas such as the House of The Gladiators, The House of Achilles and the main Theatre. The whole site dates to c.484 – 426 B.C. The day ended with a trip to the local main town of Pafos to take in the sights and experience some of the excellent locally prepared food and ice cream. 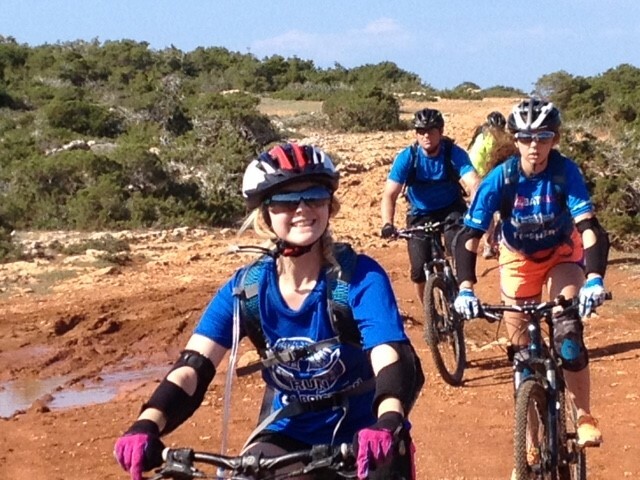 Moving on to a ride that took place within the confines of RAF Akrotiri, saw a good chance to ride some great coastline, ride to the fantastic area of Dreamers Bay and take on 20kms of challenging undulating trails and tracks. To date the cadets had experienced plenty of bad weather and today showed just how hot it can get within a matter of minutes of the rain drying up. The sun had its hat on and was coming out to play. During all rides on the exercise the cadets were encouraged to ride to the front of the group and choose good lines for the rest of the group to follow, one cadet however decided to follow his own line and displayed how to get gravel rash by falling off your bike in one easy movement! Thankfully he was back in the saddle the next day after getting his wounds dressed and dusting himself down, feeling a little sore he carried on to complete the rest of the exercise with a smile on his face. The next ride was the jewel in the crown for any off road cyclist, although short (18km return trip) the route was littered with steep hill climbs and descents, large rock gardens, overall very technical terrain, rutty, dusty and muddy trails and views that were absolutely outstanding from every angle. This ride certainly tested all the cadets and demanded respect, all the previous training came into play to get through this very demanding route and even asked questions of the fittest members of the group. A most exhilarating ride that challenged everyone without exception. Our final day of riding took place along the coastline of the western part of Cyprus, proving just how diverse the terrain could be on this fantastic Island. The ride started off along a nice piece of tarmac, the road then disappeared and quickly became a very bumpy and rutty dirt road with short but very steep hills thrown in to create an even more challenging ride. It was on this day that I was to become another victim of bad line choice, although coming off my bike was not planned, I can at least report that I was not injured and fell off with grace and finesse and, can also boast we were on sand at the time of my demise. After two hours of riding during the hottest day so far, we turned back on our 36km route and headed back to our safe haven of the shade and headed back up to the Mountain tops of Troodos. In summary, Exercise Bristolian Zeus was a huge success. Everyone was able to develop leadership skills and apply technical ability on a Mountain Bike, appreciate the importance of being a team member, and I saw tons of personal confidence grow within the cadets on a daily basis. Ample opportunities to hone other skills also came to the fore, from repairing one of the fourteen tyre punctures we encountered to conquering saddle-sore! All participants on the exercise would like to take this opportunity to thank, RAF Akrotiri for the loan of bikes and transport, the Ulysses Trust and Wessex Reserve Forces and Cadets Association for the generous financial support which enabled this exercise to be such a great success. Lt Gary Forder, Exercise Leader. Bristol Army Cadet Force. Cadet Sergeant Jay Thomas fixing puncture number 2 of 3! From rock garden to rutty trails along the western coastline of Cyprus. Safely through a technical rock garden. The girls take to the front and show the boys how it should be done. The stunning Akamus Peninsula seemed like a good place for lunch.